Even when not on holidays we use this to clean hands before and after meals if handwash isn’t nearby, so when travelling make it your constant companion! If flying, you can use this santising spray to clean down common areas (folding trays, arm rests) and of you course on your hands of those of your kids. You can also spray it on the A/C vent of your car or aeroplane seat to nuetralise and airborne germs floating around so you arent breathing in gross things for hours non-stop. What so super practical about this little spray bottle is its a convenient size to fit in your purse! You can purchase it from doTERRA or make your own with an empty 30ml spray bottle, OnGuard essential oil and some watered down aloe vera gel. Its a lovely non-drying and fresh smelling cleaner, with no triclosan or chemicals in sight! Alongside the hand spray, I also recommend the OnGuard topical roller as a must have travel blend. When flying I apply this to the back of the neck and bottoms of the feet at the airport (while awaiting boarding) and again when we arrive at our destination, then again the following day. If you are on a long haul international flight you may even reapply OnGuard every 3-4 hours to keep yourself boosted and protected. Preventative application is better than dealing with a sick family during the holidays, so get your roller blend ready and use it often! 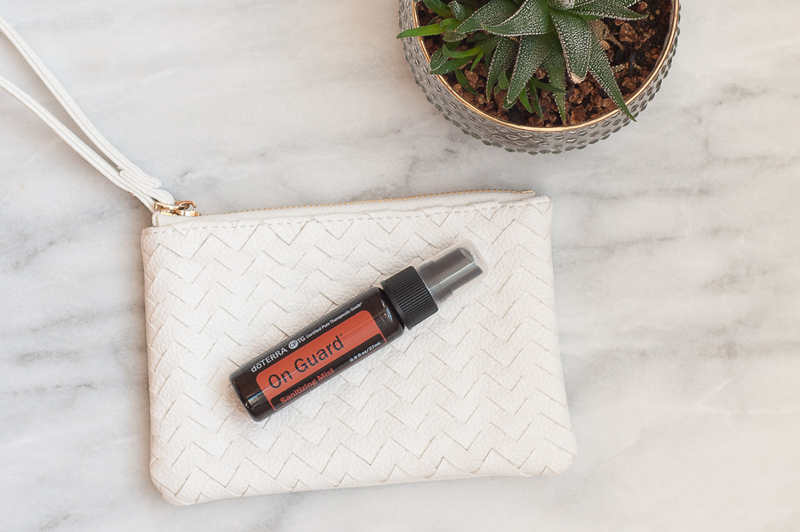 This blend also offers emotional protection and shielding, so if you feel overwhelmed in airports or crowds, use OnGuard to help you stay in a bubble of calm and safety. Keep the midges and mozzies at bay! Like most repellents this can be applied topically to the skin and clothing for protection against all things itchy. However, unlike chemical sprays this one may need reapplying every few hours, and happens to smell really nice. 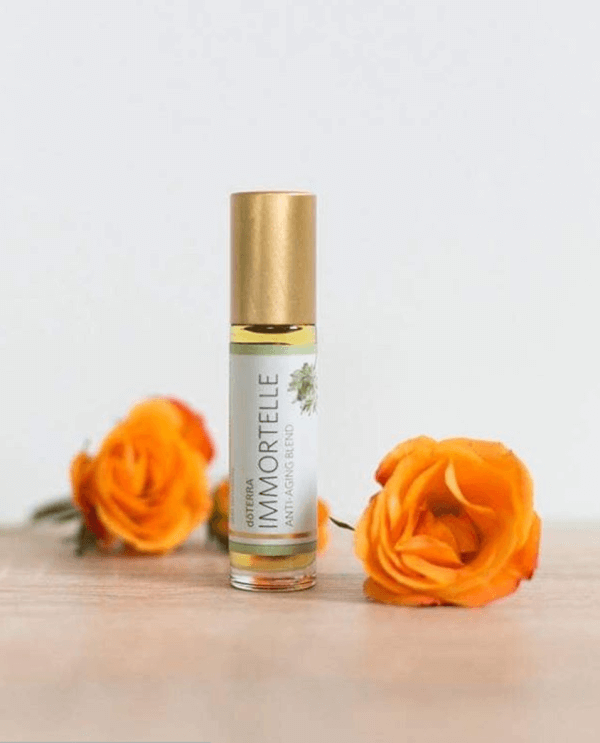 Like the hand spray, you can purchase this in a convenient 30ml ready to go spray bottle from doTERRA or make a home-made DIY version yourself (just reduce the drops by 1/3 for a 30ml spray). When flying my 6″1 tallish husband always gets uncomfortable, and lets face it.. muscular niggles are common even on long car trips so I wont leave home without this blend in a ready made roller! Note you can also swap it out for Past Tense (tension blend) in a diluted roller if you prefer. Apply topically to soothe sore muscles, tight necks or lower backs, headaches or after to the shoulders after long flights, long hikes or any muscles that are in discomfort. This is my bedtime oil so I apply it to the inner wrists, arms and neck every night as a climb into bed. My son and hubby both enjoy its aroma and it helps us switch off quicker. Its also great for emotional ups and downs during a holiday, although Balance is another favourite blend for daytime grounding, and some people prefer Lavender Peace for bedtime. Whatever helps you in the sleep department, take some of that oil in a ready made roller to support an easy transition to the land of nods. 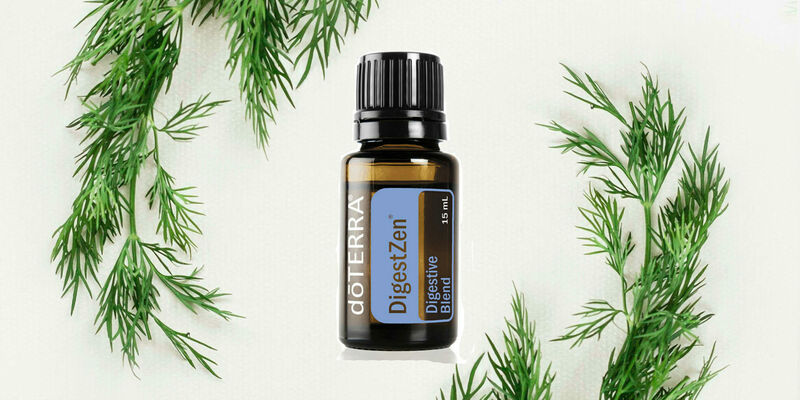 If you have a sensitive tummy like I do, simply adding 1 drop of DigestZen to a glass of water then drinking it down brings fast relief! You can also use a DigestZen Touch roller and apply it topically across the stomach area. If you prone to over eat or often find something doesn’t agree with you, this is a must have oil to have on-hand at all times. Can be substituted for Peppermint oil in a pinch. Again when flying or travelling the last thing we want is sick kids. So as well as dosing everyone up on OnGuard I like to keep this on-hand as a just incase option. If you have kids who can get a bit “coughy” in the cold air or at night, take a pre-made roller of Easy Air with you and apply to their feet, chest and upper back areas for a more restful night. Can also be handy if your hubby is a loud sleeper after having a few too many drinks! This blend is great for anyone flying or if you have family members who’s ears get affected with change in pressures on mountain drives. Simply make up a 10ml roller with fractionated coconut oil and apply behind the ears and jawline. Relief is gentle and comes pretty fast. 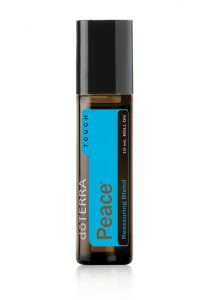 As a bonus, this roller can double as a massage oil (take the top off and rub it into someones feet), or splash a little into a bath or spa for an extra relaxing aroma. Infact, you may need to just bring the whole AromaTouch bottle!! Every morning I add 1-2 drops of lemon to my water bottle for extra flavour and alkalising, but the uses don’t stop there. I often mix some with apple cider vinegar (ACV) and olive oil, salt and pepper as part of a salad dressing. Add a drop of lemon oil to your hands and inhale for some wake up clarity and focus. Or make a lemon tea with it; add to a ginger teabag with some honey and apple cider vinegar (AVC) and this forms my winter morning tea. This blend is part of my everyday skin moisturising combo, so I love to have it on-hand. I roll it neat onto spots on my face or arms, or dilute it into a 30ml spray with rosehip, jojoba and Yarrow essential oil as a daily skin moisturiser. In a pinch your Salubelle roller can be easily applied to dry or dehydrated skin, or used as a lip conditioner. Note you can alternate this blend with pure Frankincense if you prefer, make up a roller blend of Frank with your preferred carrier oil. The one thing I miss most about being away from home is my aromatic dressing routine. Read more about this daily moisturising and self-love ritual here. To combat this when I’m organised enough I make up a 50ml aromatic dressing spray so I can simply spray and rub and still have my morning essential oil ritual. I love to Balance (grounding blend) for this everyday, and often add in a Citrus oil like Wild Orange or Bergamot, Frankincense and Clary Sage. Or if its around my moon time I will use Balance, Clary Calm and Wild Orange. Then top-up with carrier oil. If you were going to the beach or somewhere sunny and warm then you need an after sun spray! Of if you were going on a Cruise ship and likely to overeat, I would recommend Smart and Sassy. Or for car trips I would recommend Peppermint and Wild Orange. If you go somewhere warm, tropical or beachy ensure you have soothing assistance on-hand when you get too much Vitamin D! 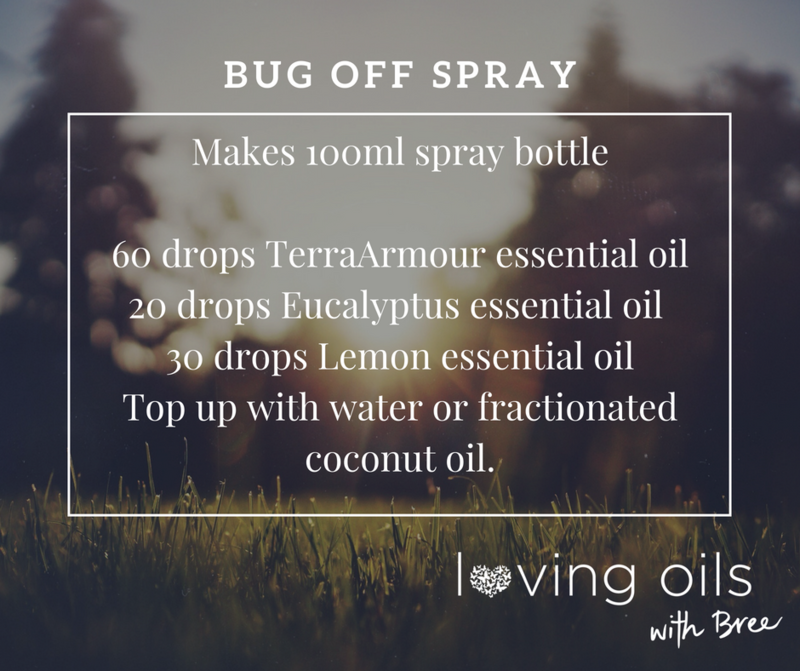 Make your own spray for a fraction of the cost of store bought products, and it wont be full of nasties either. 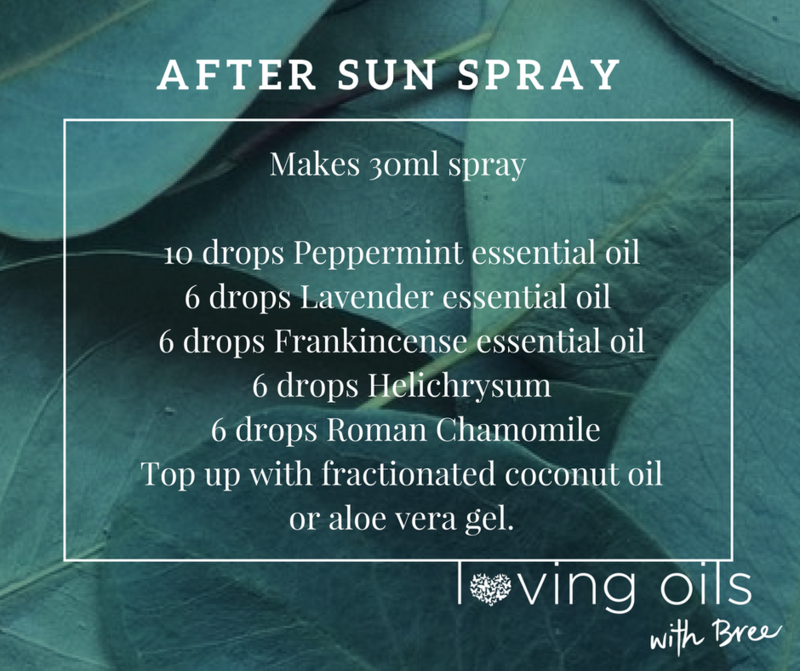 This after sun spray can be switched for just Lavender oil as a backup, but the combination of essential oils in this spray will give you even more amazing healing. To use, simply apply topically to the skin to cool and calm the skin. Reapply every 2-3 hours for the first few days for optimal results. If you are wanting to make lots of healthy food choices on your holiday, Smart n Sassy is a great addition. You will need the bottle so you can add 2 drops to your water bottle each day so assist with curbing hunger and reducing cravings. Then of course if you overdo it, reach for the DigestZen. 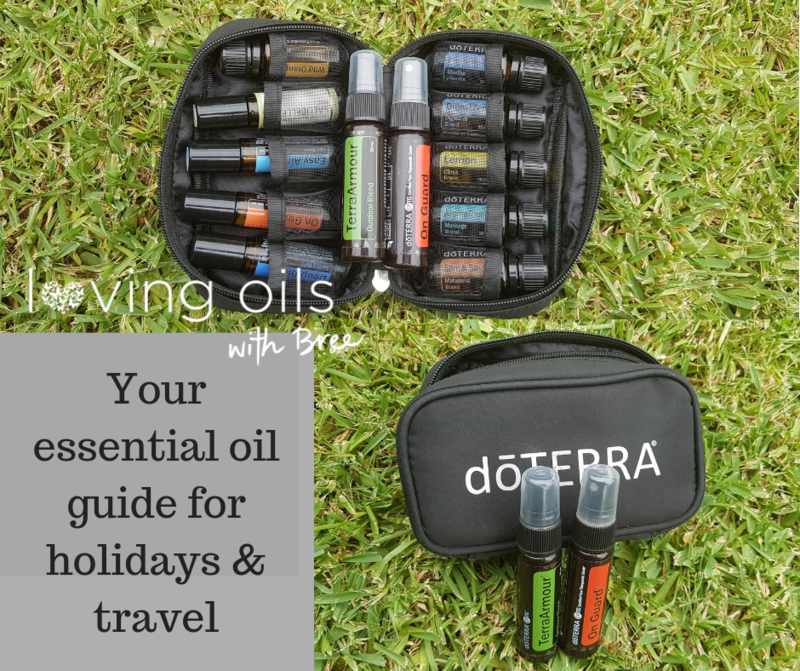 These two oils are awakening, refreshing and will help bring joy and focus to your driving trip. Simply add 2 drops of each to your car diffuser when everyone needs a lift! Dab 1 drop of each in the carpet of your car for a more subtle aroma. 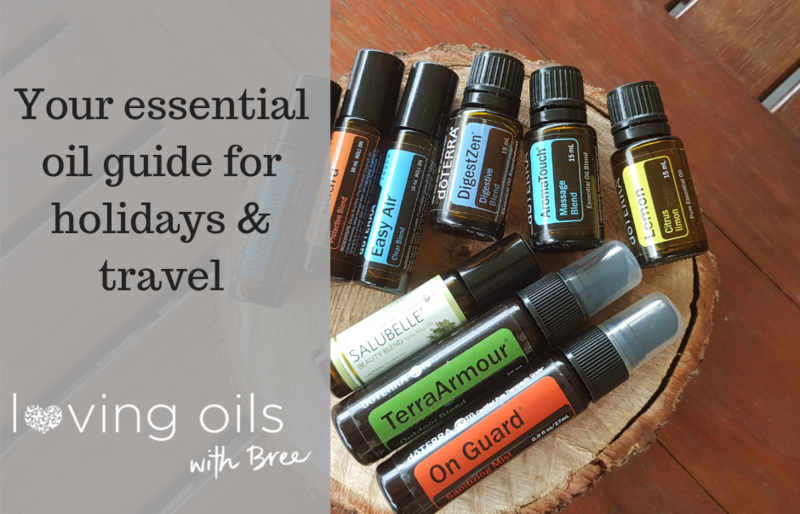 Using essential oils as part of a Travelling First Aid kit is easy once you get the hang of it, and this 10 bottles carry bag is both handy and portable so it goes literally everywhere with me. 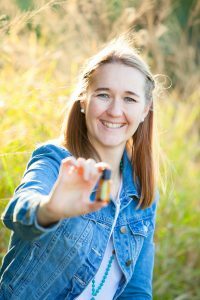 If you want to explore more uses for essential oils I have a growing range of blog topics here and you can also subscribe to my newsletter on essential oils self-care here. For anyone new to oils, I recommend the following kits / combos of oils to get started. If you don’t have a wholesale account with doTERRA, and haven’t been introduced to doTERRA before I would love to welcome you to my oil loving family!! To do that you can contact me directly, or jump online and order some oils at wholesale price with me here. 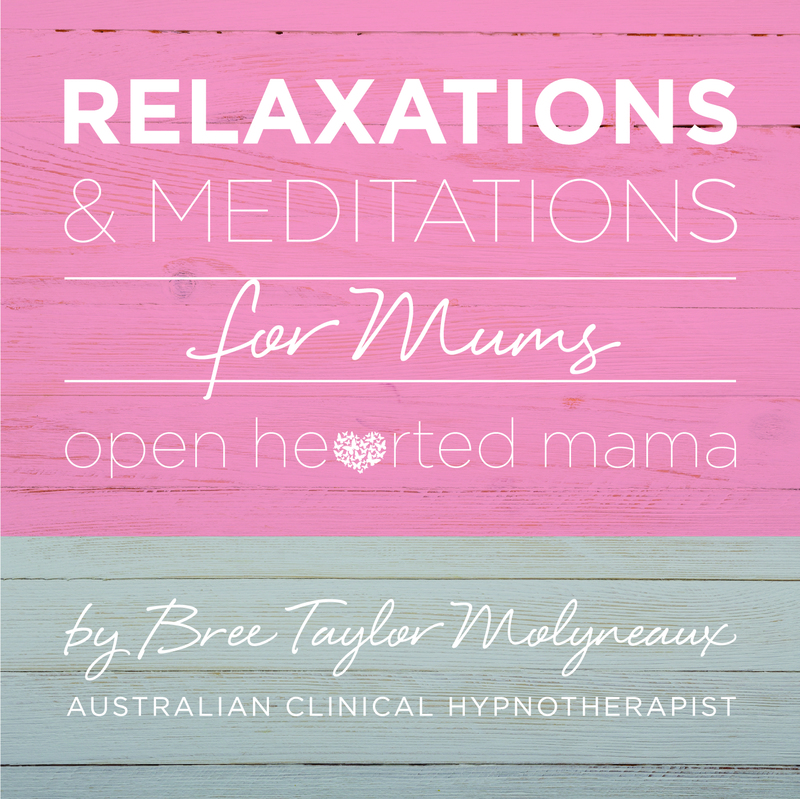 Bree Taylor Molyneaux is a Brisbane based women’s self-care and wellness coach specialising in emotional self care. She particularly supports women with challenges in fertility, pregnancy + birth, birth trauma, motherhood + parenting. As a trained a HypnoBirthing® practitioner, hypnotherapist and personal renewal facilitator, Bree runs weekend and one day retreats on self-care, offers a range of wellness classes, workshops and is available for personal coaching internationally. She also has a range of and hypnosis downloads available on iTunes and you can read more about Bree here.